He used RR Lyrae stars to correctly estimate the size of the Milky Way Galaxy and the sun's position within it by using parallax. In 1953 he proposed his "liquid water belt" theory, now known as the concept of a habitable zone. 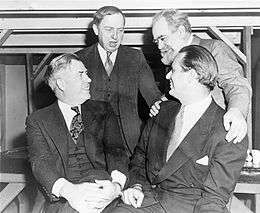 In 1907, at the age of 22, Harlow Shapley went to study journalism at the University of Missouri. When he learned that the opening of the School of Journalism had been postponed for a year, he decided to study the first subject he came across in the course directory. Rejecting Archaeology, which Harlow later explained he couldn't pronounce, Harlow chose the next subject, Astronomy. Post-graduation, Shapley received a fellowship to Princeton University for graduate work, where he studied under Henry Norris Russell and used the period-luminosity relation for Cepheid variable stars (discovered by Henrietta Swan Leavitt) to determine distances to globular clusters. He was instrumental in moving astronomy away from the idea that Cepheids were spectroscopic binaries, and toward the concept that they were pulsators. He was the first to realize that the Milky Way Galaxy was much larger than previously believed, and that the Sun's place in the galaxy was in a nondescript location. This discovery by Shapley is a part of the Copernican principle, according to which the Earth is not at the center of our Solar System, our galaxy, or our Universe. He served as director of the HCO from 1921 to 1952. During this time, he hired Cecilia Payne-Gaposchkin, who, in 1925, became the first person to earn a doctorate at Radcliffe College in the field of astronomy for work done at Harvard College Observatory. He wrote many books on astronomy and the sciences. Among these was Source Book in Astronomy (New York: McGraw–Hill, 1929—co-written with Helen E. Howarth, also on the staff of the Harvard College Observatory), the first of the publisher's series of source books in the history of the sciences. From 1941 he was on the original standing committee of the Foundation for the Study of Cycles. 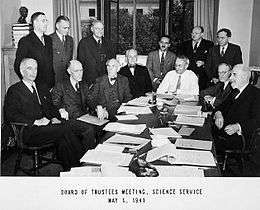 He also served on the board of trustees of Science Service, now known as Society for Science & the Public, from 1935 to 1971. In addition to astronomy, Shapley held a lifelong interest in myrmecology, the study of ants. He died in a nursing home in Boulder, Colorado on October 20, 1972. Although Shapley was an agnostic, he was greatly interested in religion. Shapley attended Institute on Religion in an Age of Science conferences at Star Island and was the editor of the book Science Ponders Religion (1960). He married Martha Betz (1891–1981) in April 1914. She assisted her husband in astronomical research both at Mount Wilson and at Harvard Observatory. She produced numerous articles on eclipsing stars and other astronomical objects. They had one daughter and four sons, one of whom is mathematician and economist Lloyd Shapley, who won a Nobel Prize in Economics in 2012. 'When one of our inevitable super-geniuses of the future discovers some new mankind-annihilating device, and this genius is insane, perhaps undetectably insane, he will willingly perish as he murders the rest'. Shapley, Harlow (1972). Galaxies. The Harvard books on astronomy. Harvard University Press. ISBN 0674340515. Shapley, Harlow (1930). Flights from Chaos: A Survey of Material Systems from Atoms to Galaxies, Adapted from Lectures at the College of the City of New York, Class of 1872 Foundation. Whittlesey House, McGraw–Hill Book Company, Inc.
1 2 "Dr. Harlow Shapley Dies at 86. Dean of American Astronomers. 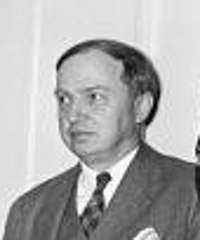 Dr. Harlow Shapley, Dean of American Astronomers, Dies at 86". New York Times. October 21, 1972. Retrieved 2014-01-15. Dr. Harlow Shapley, one of the world's best-known astronomers, died in a nursing home yesterday in Boulder, Colo., after a long illness. He was 86 years old. ↑ Goldberg, Leo (January 1973). "Obituary: Harlow Shapley". Physics Today. 26 (1): 107–108. Bibcode:1973PhT....26a.107G. doi:10.1063/1.3127920. ↑ "Hubble Views the Star that Changed the Universe". HubbleSite NewsCenter. Retrieved 23 May 2011. ↑ ^ Marcia Bartusiak (2010). The Day We Found the Universe. Random House Digital, Inc. pp. x–xi. ↑ "He's anti-genius". Sarasota Herald-Tribune. January 9, 1947. p. 9. ↑ "People: Inside Dopester". Time Magazine. January 6, 1947. ↑ Kragh, Helge (2004). Matter and spirit in the Universe: scientific and religious preludes to modern cosmology. OECD Publishing. p. 237. ISBN 978-1-86094-469-7. Shapley was not committed to any particular model of the expanding universe, but he did have strong opinions about the relationship between astronomy and religion. A confirmed agnostic, in the postwar period he often participated in science-religion discussions, and in 1960 he edited a major work on the subject — Science Ponders Religion. ↑ I.S. Glass (2006). 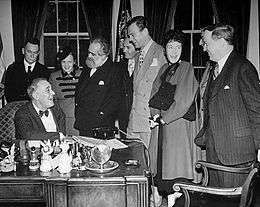 "Harlow Shapley: Defining our galaxy". Revolutionaries of the Cosmos: The Astro-physicists. Oxford University Press. pp. 265–266. ISBN 9780198570998. Although a declared agnostic, Shapley was deeply interested in religion and was a genuinely 'religious' person from a philosophical point of view. 'I never go to church', he told Cecilia Payne-Gaposchkin, 'I am too religious. ↑ "Past Recipients of the Rumford Prize". American Academy of Arts and Sciences. Retrieved 19 February 2011. ↑ "Winners of the Gold Medal of the Royal Astronomical Society". Royal Astronomical Society. Retrieved 19 February 2011. ↑ "Past Winners of the Catherine Wolfe Bruce Gold Medal". Astronomical Society of the Pacific. Retrieved 19 February 2011. ↑ "Grants, Prizes and Awards". American Astronomical Society. Archived from the original on 22 December 2010. Retrieved 19 February 2011. ↑ John Norbury. "Ian Roulstone and John Norbury describe improvements in the accuracy of climate predictions. – Project Syndicate". Project Syndicate. Retrieved 11 January 2015. ↑ Paul F. Ellis (December 30, 1946). "Most potent killer is believed genius maniac". The Spartanburg Herald. p. 5.